Successfully Added Bluetooth Smart Watch EXE C7 - Phone Calls, Messages, Notifications, Pedometer, Heart Rate, Sleep Monitor, Touch Screen (Black) to your Shopping Cart. 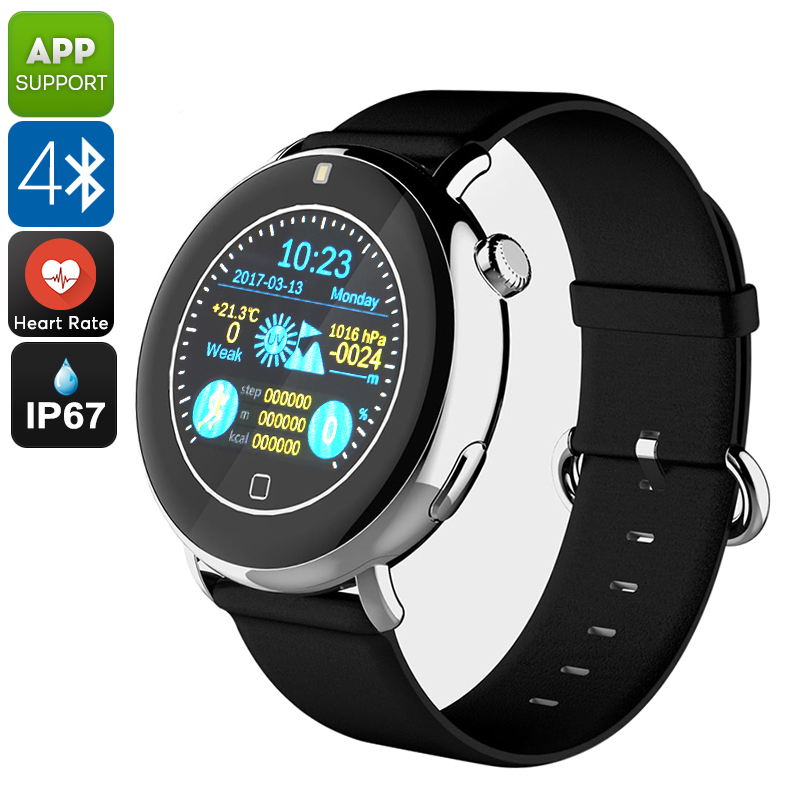 The EXE C7 Bluetooth smart watch is the ultimate wearable for anybody that wishes to enjoy great connectivity from their wrist. Supporting Bluetooth, this smart watch can be efficiently paired with your smartphone or tablet. A built-in microphone allows you to make hands-free phone calls and its beautiful 1.22 Inch IPS display is perfect for writing short text messages. Additionally, it offers a sophisticated platform on which to watch video’s or pictures. Allowing it to be synchronized with your music library, this Bluetooth smart watch furthermore lets you listen to all your favorite songs stored on your smartphone at any given moment. So much more than a regular smart watch, this Bluetooth watch comes with a rich assortment of smart health and fitness features. With its pedometer, this sports watch keeps accurate track of all the steps you take and distance you cover throughout the day. Added to that, it also gives you a clear overview of the number of calories you’ve burned during your last workout session. Along with its heart rate monitor, this Bluetooth sports watch provides you with highly valuable information on which you can accurately adjust your upcoming sporting sessions to make sure you’ll meet the fitness level of your dreams in the fastest way possible. When it comes down to the hardware of this stylish smart watch, the EXE C7 Bluetooth sports watch packs a strong MediaTek processor that provides you with a smooth and lag-free experience. Along with its 300mAh battery, it delivers 2 hours of continuous talk time and 72 hours of standby time – allowing you to get through multiple days of regular usage without needing to worry about recharging this amazing wearable.